United Technologies Corporation (NYSE:UTX) is one of a few companies Daniel Loeb’s Third Point discussed in its Q4 2018 Investor Letter – you can download a copy – here. We already covered the fund’s thoughts on BAX. Now, we’ll take a look at what the fund had to say about United Technologies Corporation and its recent split into three separate companies. We are pleased that the Board of Directors decided to split United Technologies Corp. (“UTC”) into three separate, focused companies. Unfortunately, the initial announcement caused confusion and created uncertainty about the free cash flow generation of newly-acquired Rockwell Collins. We believe management has largely rectified this by shortening the time to separation and providing better disclosure on Rockwell Collins’s free cash flow generation. We have urged management to quantify the elimination of stranded costs and explore a highly value-creating transaction for Carrier,and believe they are receptive to these suggestions. 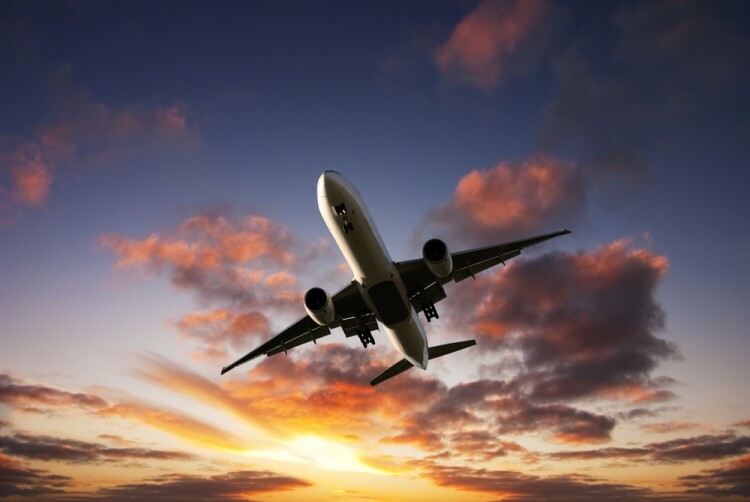 Despite the separation announcement, UTC’s sum-of-the-parts discount has continued to widen and the valuation gap versus UTC’s closest multi-industry peer, Honeywell International, has reached a new 10-year high. The coming separation will shine a greater spotlight on the large valuation gap to UTC’s pure-play peers.During the separation process, we expect the management team to highlight UTC’s asset quality and to increase transparency around Pratt & Whitney’s very significant multi-year inflection in free cash flow generation. United Technologies Corporation is a Farmington, Connecticut-based multinational conglomerate that manufactures a variety of products for aerospace systems, elevators, fire and security industries, among many others. Year-to-date, its stock has gained 21.8%, having a closing price on April 2nd of $131.90. The company’s market cap is of $113.75 billion, and it is trading at a P/E ratio of 20.29. At the end of the fourth quarter, a total of 64 of the hedge funds tracked by Insider Monkey held long positions in this stock, a change of 8% from one quarter earlier. 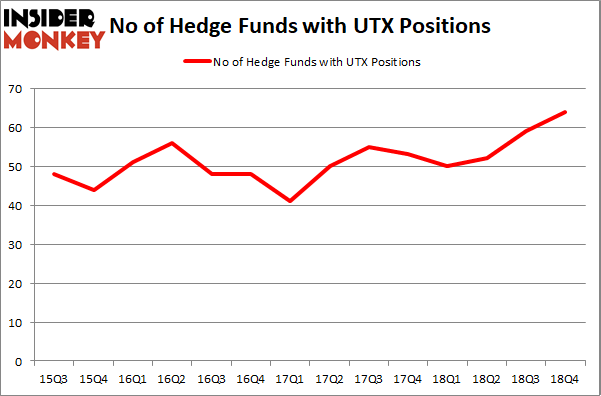 Below, you can check out the change in hedge fund sentiment towards UTX over the last 14 quarters. With the smart money’s sentiment swirling, there exists a select group of key hedge fund managers who were upping their stakes considerably (or already accumulated large positions). According to Insider Monkey’s hedge fund database, Andreas Halvorsen’s Viking Global has the number one position in United Technologies Corporation (NYSE:UTX), worth close to $743.6 million, accounting for 4.2% of its total 13F portfolio. The second most bullish fund manager is Bill Ackman of Pershing Square, with a $594 million position; the fund has 10% of its 13F portfolio invested in the stock. Some other hedge funds and institutional investors with similar optimism include Ken Fisher’s Fisher Asset Management, Eric W. Mandelblatt and Gaurav Kapadia’s Soroban Capital Partners and Robert Rodriguez and Steven Romick’s First Pacific Advisors LLC. Here’s What Hedge Funds Think About Henry Schein, Inc. (HSIC) Here’s What Hedge Funds Think About Xylem Inc (XYL) Here’s What Hedge Funds Think About Expeditors International of Washington... Hedge Funds Aren’t Crazy About Cna Financial Corporation (NYSE:CNA) Anymore... Here’s What Hedge Funds Think About Take-Two Interactive Software, Inc... Did Hedge Funds Drop The Ball On DISH Network Corp. (DISH) ?